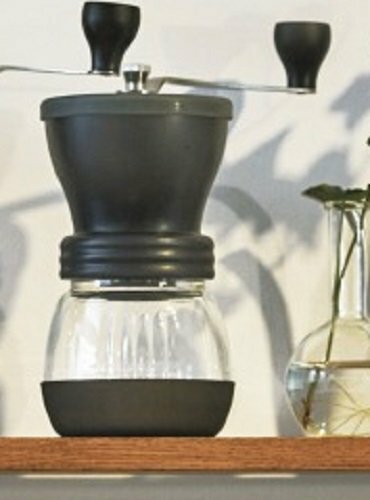 The 'Skerton' Coffee Ceramic Burr Mill / Grinder comes from Hario, a Japanese company manufacturing glassware since the 1920's. 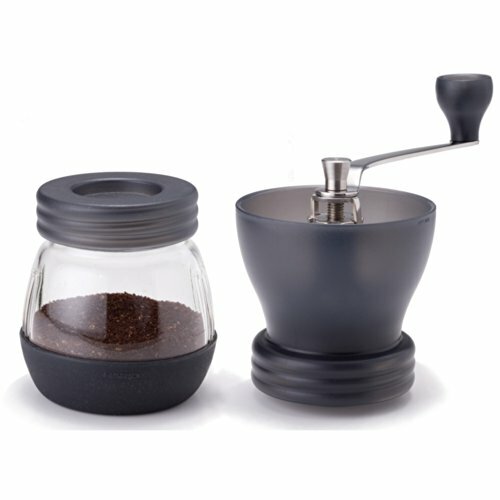 Freshly ground coffee is the most important aspect of any manual brewing setup. Do it properly with the Skerton. 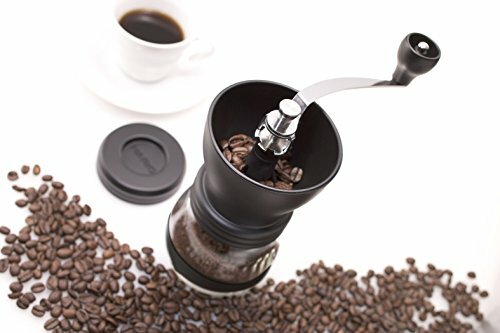 This grinder is adjustable, very durable, looks good, and unless you'd prefer to fork out 10 or 20 times more for a respectable electric grinder, it really is the best option out there. Now including a silicon lid for the top chamber so the beans don't scatter around your kitchen and an anti slip base cover to stabilise grinding. 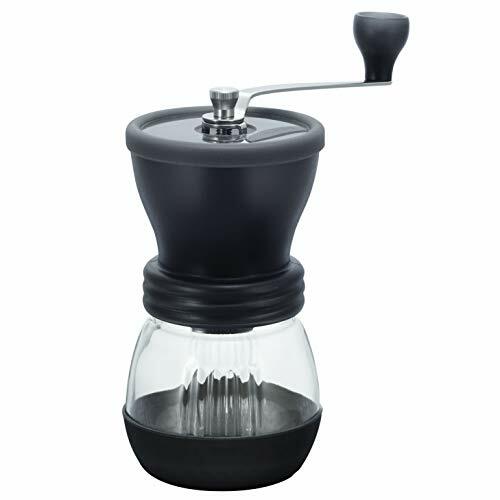 The mill / grinder is made from heatproof glass, ceramic burr,stainless steel, silicone and polypropylene. The overall height of the mill / grinder is 19.5cm/7.7in with the base diameter of the glass container being 8cm/3.1in. 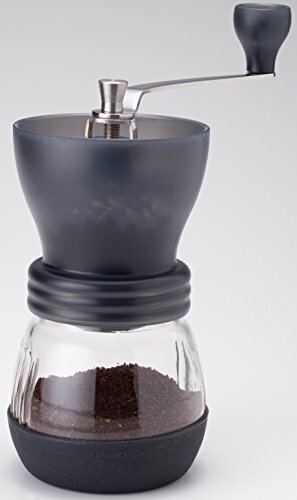 Hario Coffee Hand Grinder Skerton (Japan Import) 4.5 out of 5 based on 94 ratings.